We’ve known that the Island has reported sightings of common lizards (Lacerta vivipara) in the past, but in the last few years they’ve been so shy that some believed it had been a joke played on the warden with a plastic lizard on a bit of string. Well, we now have photographic proof! Earlier in the year Matt spotted a lizard basking near the lighthouse, so we all began to keep a little eye out and soon enough we spotted it again and asked it to pose for a mug shot. For a few weeks after we kept an eye out but there was no sign of anyone at home. We had begun to wonder whether the Island only had one lizard ? Then we struck lucky, and got another mug shot in the same spot. When we compared them we could clearly see that not only do we have two separate lizards on the Island but that they are male and female. The male and female common lizard can be separately identified by a number of characteristics. The female is often lighter in colouring with stripes and a larger belly whilst the male is much darker with more spots. Our female is also missing a claw on the front left foot. 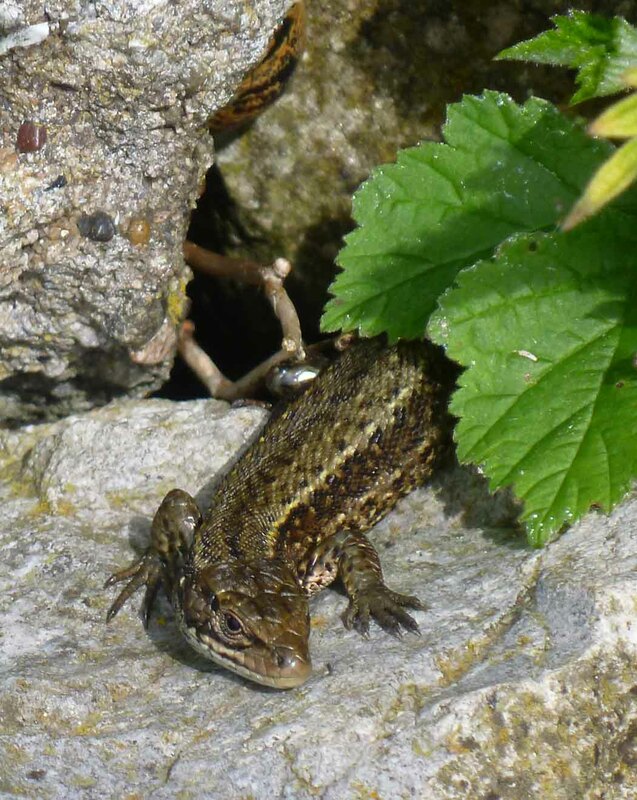 Common lizards can also be sexed by the colour of their undersides but ours are still a bit shy for this yet. We can only hope that these two are a breeding pair and that more are hiding in the rocks. 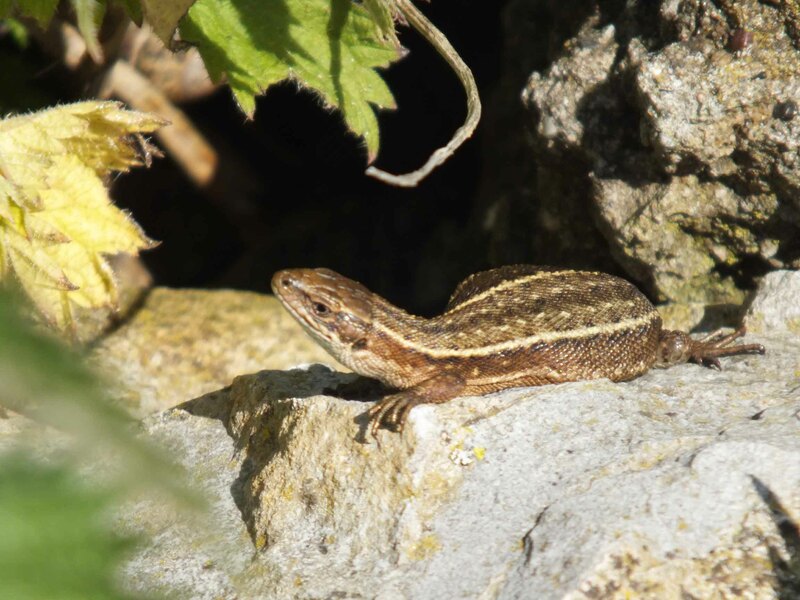 We are going to continue to watch this and other favoured spots around the Island so hopefully we can build up a photo portfolio for the common lizard population on the Island. This entry was posted on July 4, 2013 by Flat Holm Island. It was filed under Uncategorized .